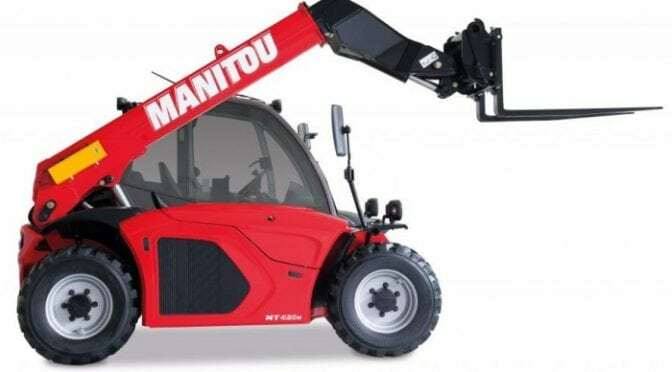 Manitou are adding a new Ultra Compact Telehander to the range to slot in under the current MT-X625. Available in late 2017 is the MT420H offering 2.0 tonne capacity, 4.3 metre lift height and 2.1 metre reach. Compact MT420H is designed to access areas that larger units arent able to with width of only 1.48 metres and height 1.9 metres. Functionality is enhanced with a range of Manitou Attachments adding to standard forks. The new machine offers the same operator cabin as the highly successful MT-X625 complete with Manitou’s excellent JSM Joystick control. Power is delivered from a Kubota diesel engine via a Hydrostatic transmission and Manitou standard 4 Wheel Drive and 4 Wheel Steering. As with all Manitou Telehandlers the MH420H will be launched with full rough terrain rating ensuring standards compliance in even the toughest environments. This machine will suit a wide range of customers from Construction to Transport operators and beyond.